Today’s card is being featured on Stylin’ Stampin’ Inkspiration. The challenge was to create a card full of shimmer and shine. I love a bit of sparkle on my cards, but wanted it to be subtle. And so I layered some great DSP pieces on top of a larger piece of Merry Merlot Glimmer Paper. The sparkle is sneaky! To bring up my sentiment, I also wrapped some copper thread around underneath. Love that shine! Today’s card set are a CASE from Amy Koenders. I love the simplicity of a big sentiment and some Washi tape. I pulled some sentiments and Washi tape from stash and put together four slightly different cards. Today’s card is being featured on Stylin’ Stampin’ Inkspiration. 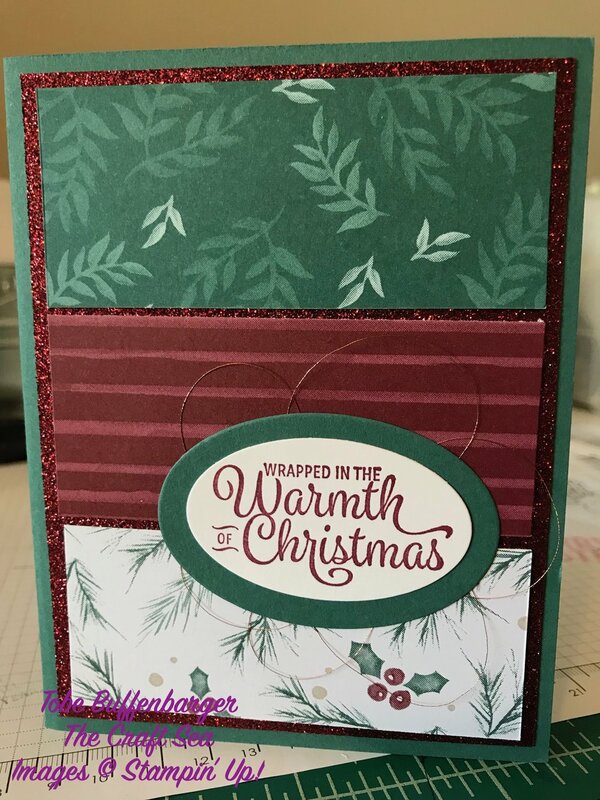 The challenge was to create a Christmas card featuring nontraditional colors. I love lime green and pink for Christmas cards, so I ran with that color palette. After searching through my DSP container, I stumbled upon the Broadway Bound DSP featuring both colors. Perfect! I set to creating a stack of presents as the center piece of my card. 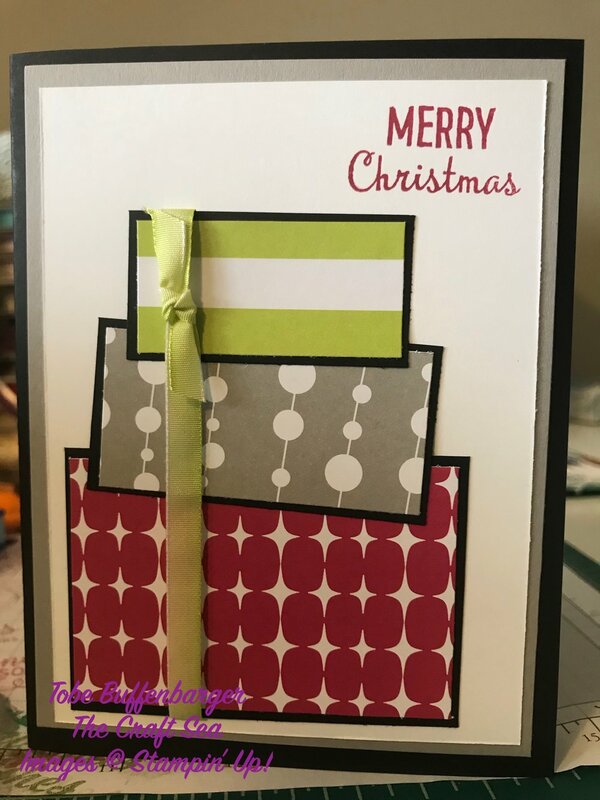 I kept the design simple and only added a sentiment and piece of ribbon to finish the card. Today’s card is being featured on Stylin’ Stampin’ Inkspiration. The challenge was to create a card using a color technique. 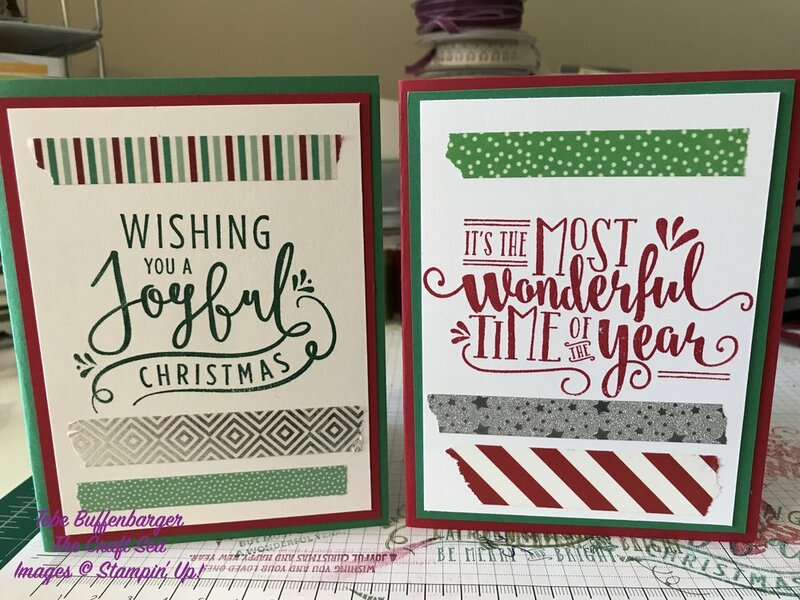 I’m all about my Stampin’ Up! markers to add that little bit of something extra to my cards. For today’s card, I layered on the patterns before stamping and coloring in my central image and sentiment. Every once in awhile, I love playing with a ton of patterns. Today’s card is being featured on Stylin’ Stampin’ Inkspiration. The challenge was to create a celebration card. 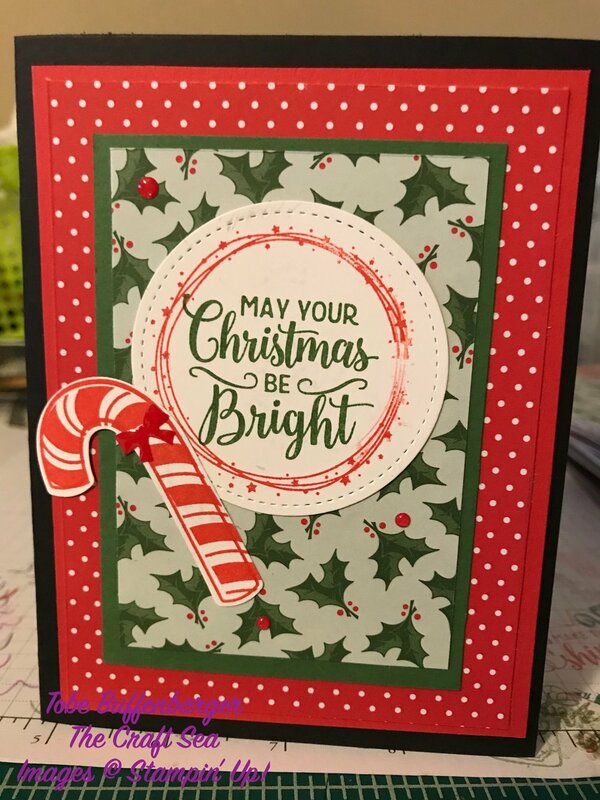 I decided to put away my Christmas supplies and pull out some items from my regular stash to create a fun and sparkly birthday card. I got a little envelope from Fabulously Planned full of January themed stickers. 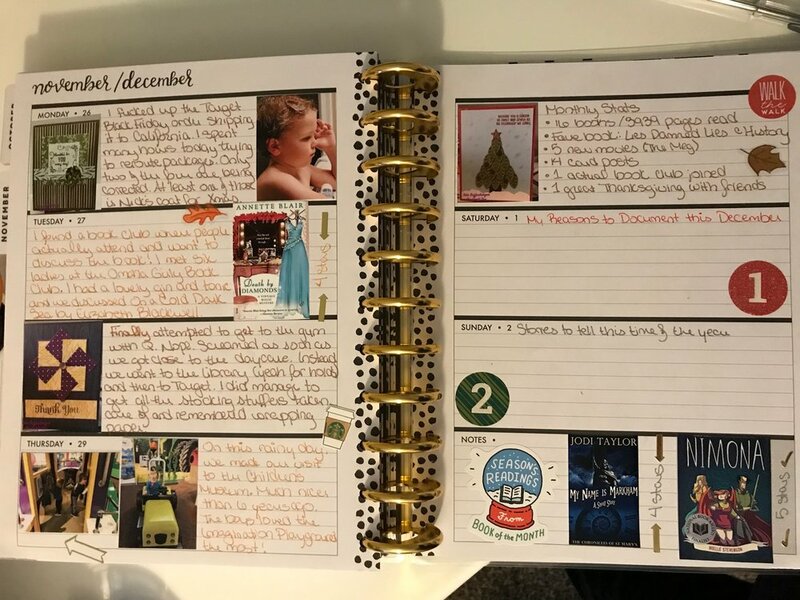 My smaller Stampin’ Up! sale box full of color and tools came this week. 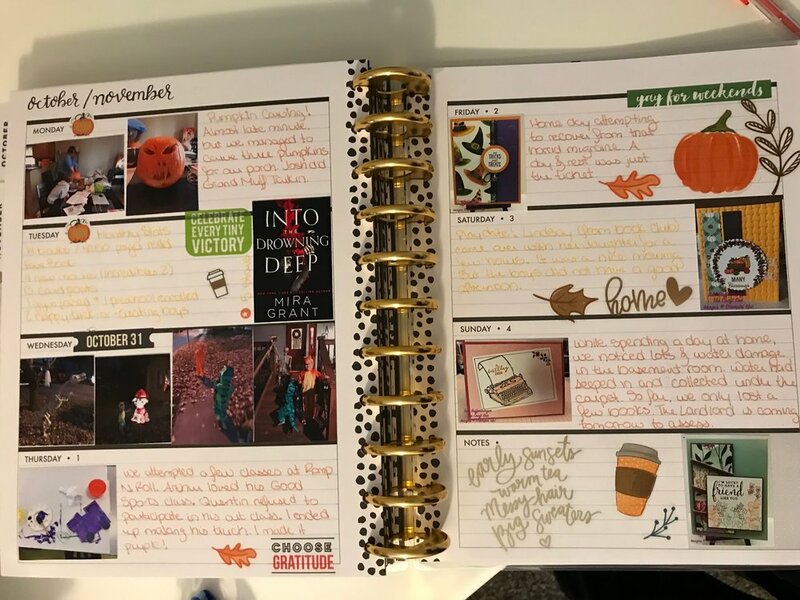 Love those markers! Picked up a cute Christmas themed kit to use for the kiddos spreads. And finally, I grabbed a ton of sale items from Ali Edwards. I can’t wait to use these items soon! Today’s card is being featured on Stylin’ Stampin’ Inkspiration. 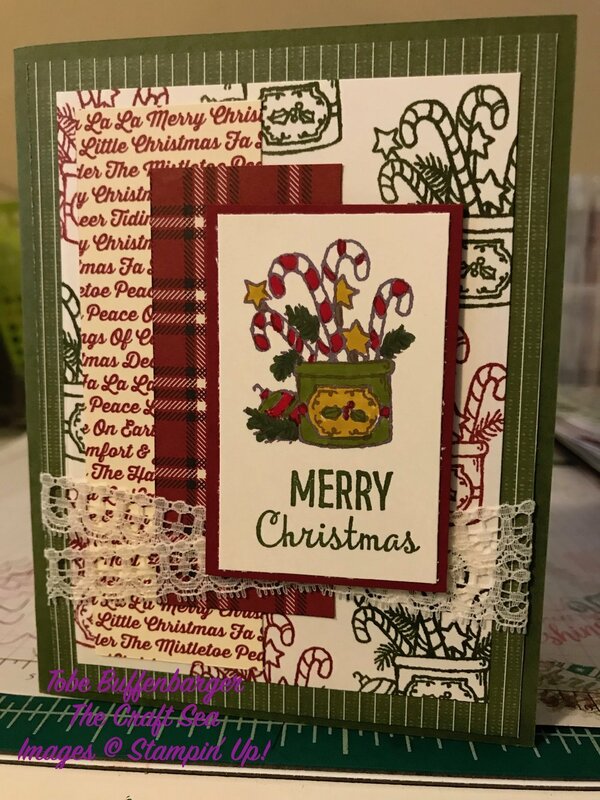 The challenge was to create a card using your favorite Christmas DSP. I love the colors and patterns in the Santa’s Workshop DSP pack. I wanted to show off the beautiful paper, so I kept the sentiment and additions fairly simple. Today’s card is simple yet striking. I CASEd this great design from Sarah Berry with some minor alterations. I love the little bit of plaid peeking through underneath. Today’s card is being featured on Stylin’ Stampin’ Inkspiration. The challenge was to create a with the theme of Winter Wonderland. I stumbled upon this card from Sandra Korten and I just had to CASE it. She uses a great combination of colors and elements to create a very fun winter card. I kept most of her elements while subbing out the colored paper and twine.